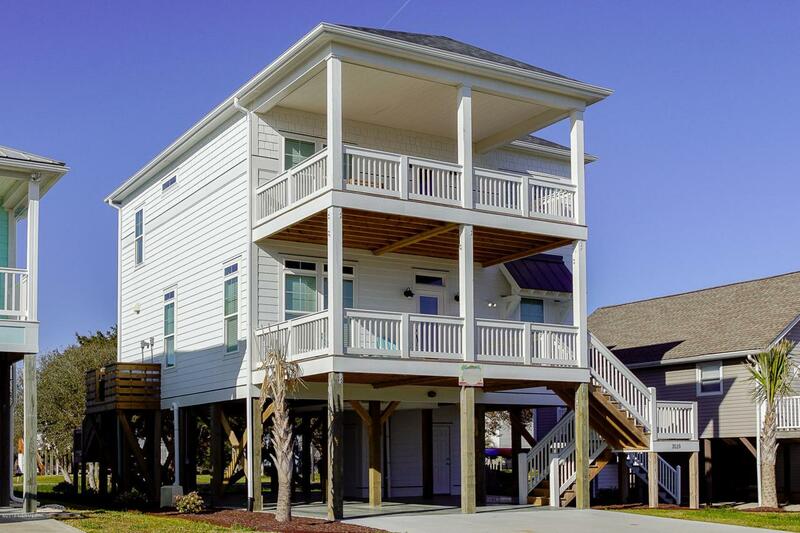 Pristine new construction on the 3rd row with Atlantic Ocean views from 2 grandiose breeze-loving covered porches. 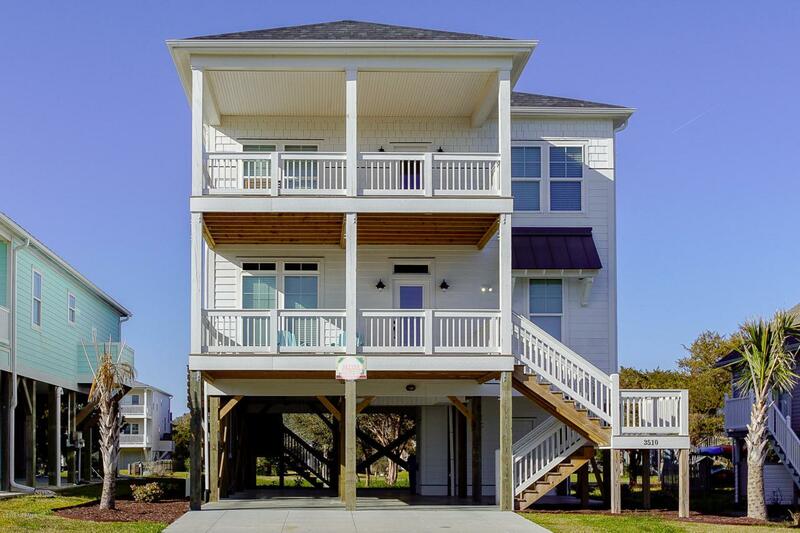 This 4 bedroom, 4.5 bath Oak Island home includes high end finishes such as Carrara marble, hardwood floors, granite countertops and stainless appliances. Enjoy the bright modern coastal interior with clean line furnishings, sparkling fixtures and eye-catching architectural detailing. An open family room + upstairs den for the kids is weekend perfect. A spacious gourmet kitchen pleases the cook and the six guests seated at a large island. Relax in a restful master suite featuring a glass walk-in rain shower. 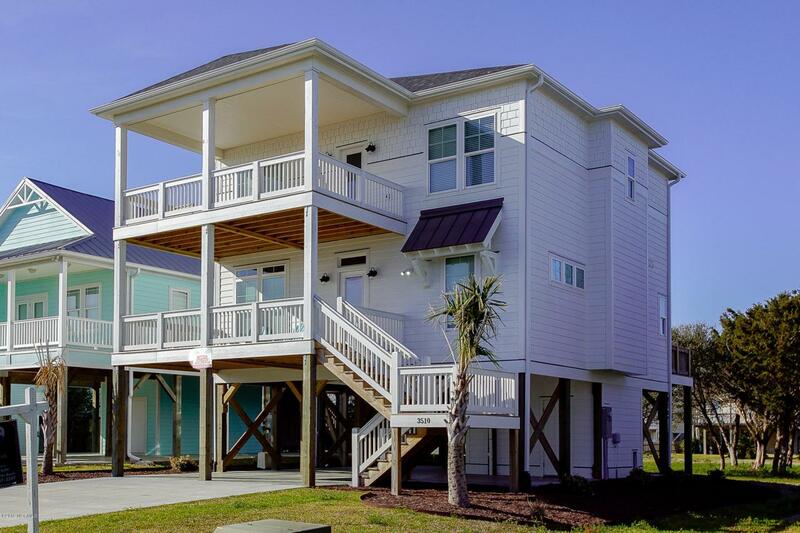 Easy walk to the beach for fun in the sun, then rinse off in the outdoor shower upon your return. Large sundeck in back plus room for a pool! Shaft in place for elevator! 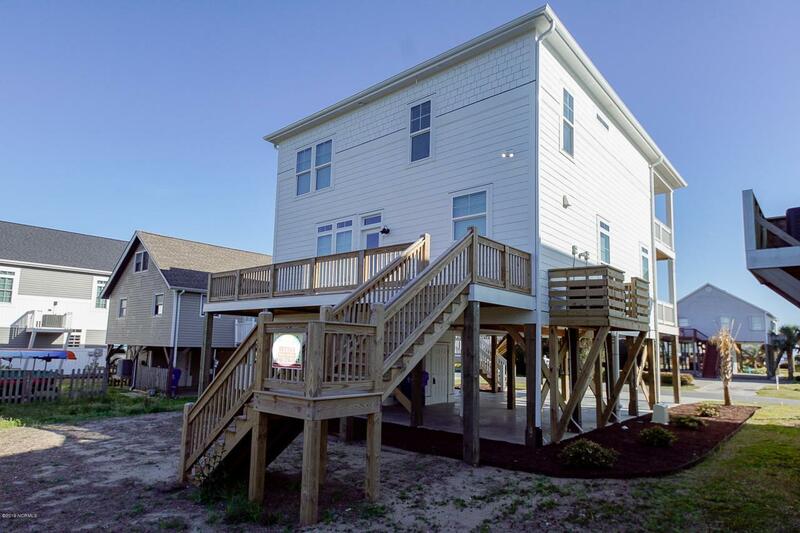 Listing provided courtesy of Christopher J Kuhn of Re/Max At The Beach / Oak Island.